Create a seamless, unique experience that makes customers return because your offers resonate with them, anticipate their needs and save them time. Your marketing can only ever be as good as the data that’s fueling it. The more data you are able to gather about your customers, the more targeted your marketing can become. The Fresh Relevance platform allows you to collect real-time behavioral data as customers shop and buy across channels and devices, even before they have been identified through their email address or an account log-in. To use these insights to enhance the brand experience and achieve a holistic customer view, you also need to be able to marry this information with all the data that you collect through other channels. Our advanced API makes it easy to access customer data across your marketing stack. Integrating seamlessly with your existing systems, the platform unifies siloed data from your ecommerce platform, email service provider, marketing database and more. 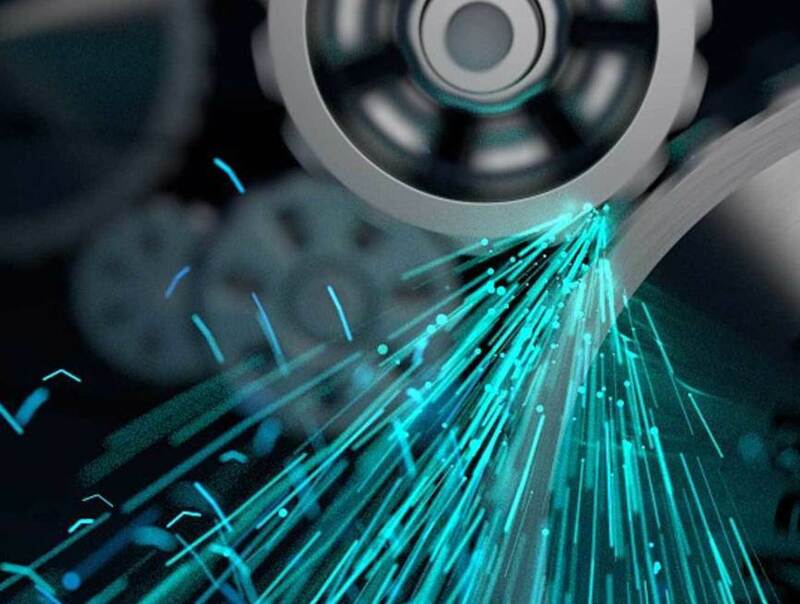 Using machine learning, it provides unique, actionable insights into each customer. Collect real-time behavioral data across devices to create rich customer profiles, even for unidentified shoppers. Unify siloed customer data across your marketing stack for a holistic customer view. Understand the individual and the tactics that resonate with them using machine learning. By aligning tactics across as many channels as possible, you ensure a seamless user experience. Our platform offers you an unrivaled set of real-time digital marketing tools to personalize the customer journey across email, website, and app through dynamic content, marketing automation, and social proof widgets. We recognize shoppers across devices and ensure a consistent brand experience - no matter if the customer interacts with your brand via phone, laptop or tablet. Provide a consistent brand experience across multiple devices, countries and sites, without having to drain IT resources. Present the most relevant content to guide customers along their journey and increase conversions across web and email. Don’t leave money in the shopping cart. Trust the leading cart abandonment provider in the UK (Q2 2018 sector analysis by BuiltWith) to convert more website visitors into customers. 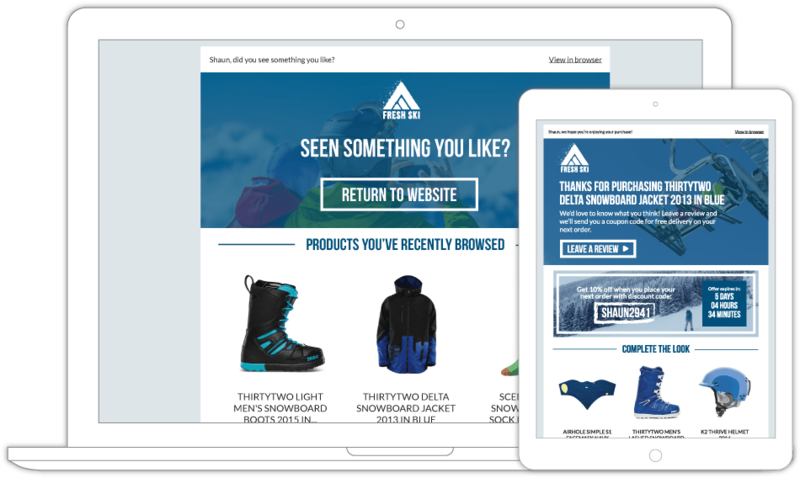 Transform lost sales into loyal customers with triggered browse and cart recovery messages, exit-intent pop-ups and personalized banners. Our platform integrates seamlessly with your existing ESP and eCommerce platform, so you can launch your shopping recovery campaign quickly. We recover more shopping carts than any other system, even for multi-device shoppers. This is due to our automatic cross-channel cart rebuild. It follows the shopper across devices and ensures that they find the items they had left behind when they return to the website, irrespective of the device they return on. Which has a significant impact on conversion rate. On average, our clients report a sales uplift of 11% from cart and browse emails. Set up remarketing triggers for multi-step cart and browse emails targeting different types of shoppers and products. 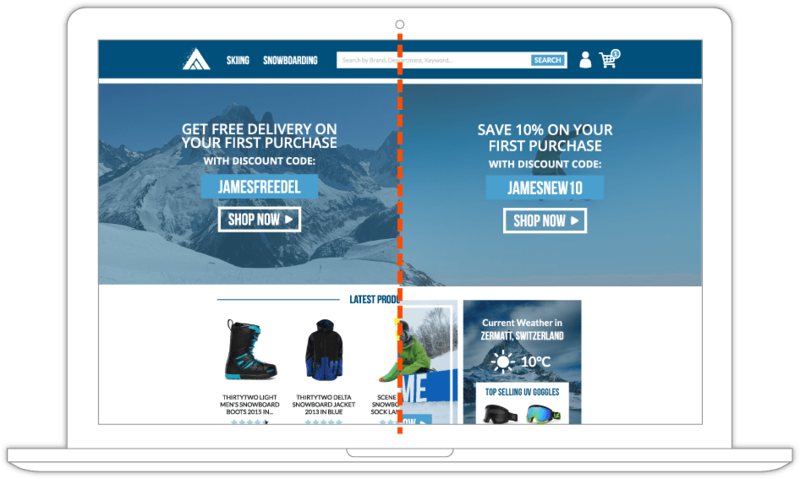 Display personalized exit-intent pop-ups on shopping cart and checkout pages. 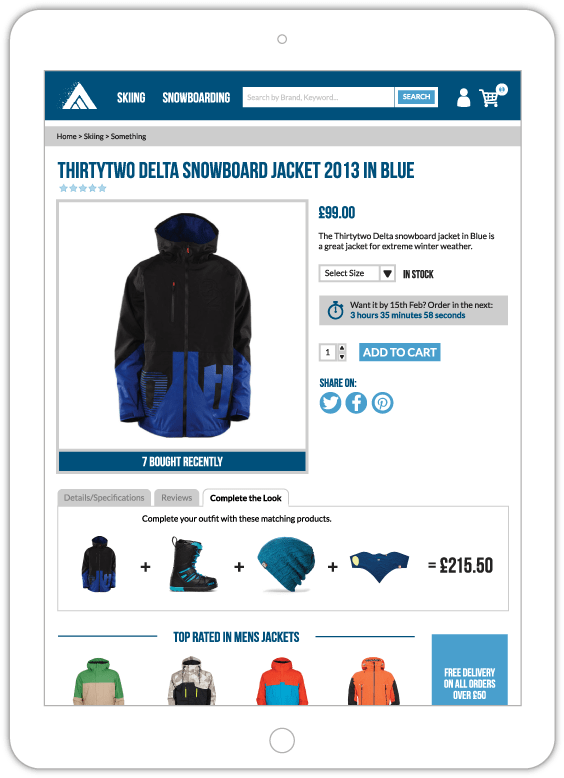 Remind returning shoppers of products and offers with tailored banners and pop-ups. Offering recommendations is a tactic as old as retail itself. In the world of eCommerce, an effective recommendations solution aligns product suggestions across channels. It combines solid machine learning with the flexibility to blend different types of recommendations to meet your business goals and maximize conversion potential. With Fresh Relevance, you can tap into real-time customer data to show them the products they are most likely to purchase at this moment in time. Our powerful machine learning engine tracks and analyzes the behavior of each visitor and blends these insights with sophisticated merchandising rules and your business rules. The personalization platform serves the most relevant products - personalized, crowdsourced or a mix of both - across email, web and app to ensure all messages are aligned throughout the purchase funnel. No integration projects or product feeds needed, meaning you can deploy product recommendations faster and manage them simpler and at lower costs. Personalize recommendations based on the shopper’s behavior, purchases and location. Leverage social proof by showing crowdsourced recommendations, such as "After viewing this, people buy”, "Frequently bought with this" or “Top sellers”. Blend personalized and crowdsourced recommendations with your unique business rules. Harmonize recommendations across email, website and app. Deliver an amazing inbox experience with email content that is personalized in real-time at the moment of open. Leverage live inventory, pricing, customer and contextual information to create engaging messages that are always up-to-date. Increase relevance by targeting email content based on each consumer’s location, weather, time, and device at the moment they open your email. Automatically generate compelling emails that are unique for each consumer, including hero images, product imagery, offers, call-to-actions, and loyalty program balances. Fresh Relevance sends through your ESP, keeping your sender reputation and deliverability protected. Set up is simple and just a matter of entering your ESP log-in credentials, with no need for complex or time-consuming integration. Harness the subscriber’s website browsing, transactional data, ESP data such as preferences and demographic data, and past email interactions. 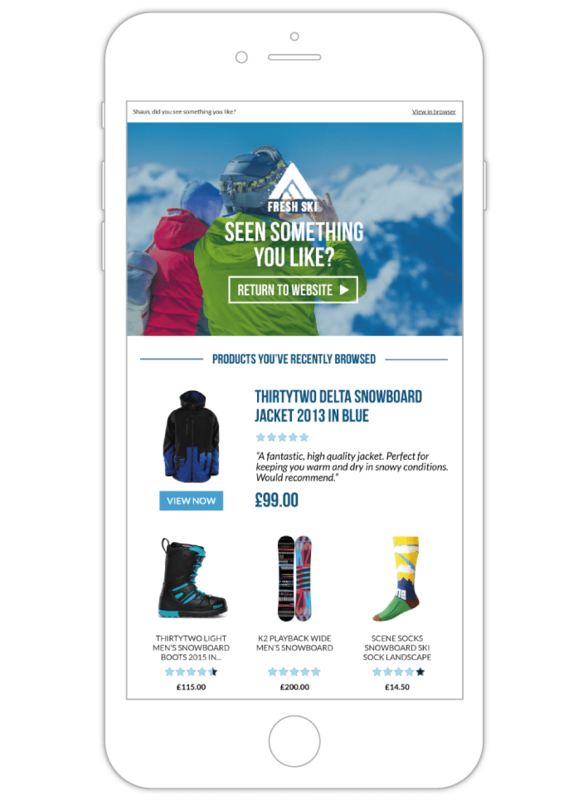 Deliver engaging email content by detecting the device, weather, time, and geo-location of each shopper the instant they open your message. Display personalized banners, countdown timers, the weather forecast, live social feeds and more. 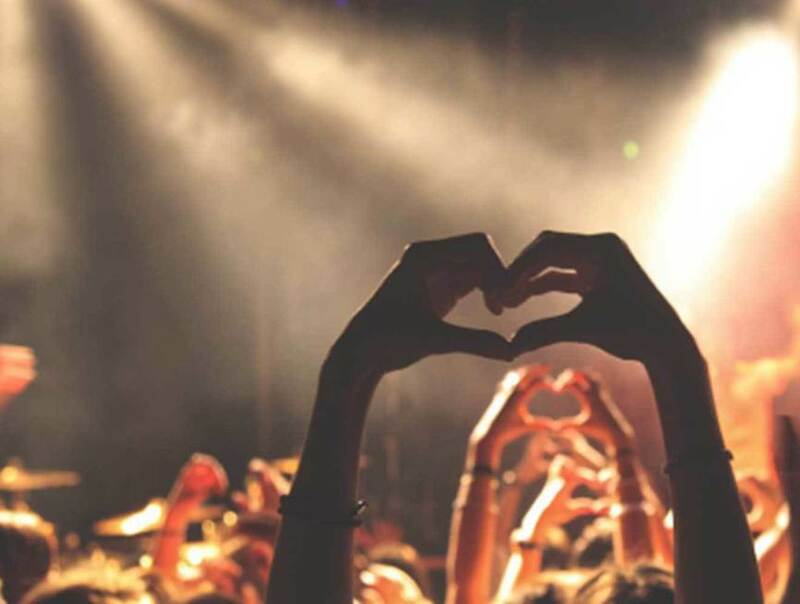 Social proof is a scalable, cost-effective tactic to acquire, grow and retain customers. By leveraging wisdom of the crowd, reviews, user-generated content (UGC), product popularity and scarcity messaging in your marketing, you’re helping customers make a purchase decision and feel confident about their choice. The Fresh Relevance platform offers you a diverse set of social proof widgets to improve email and web conversions. Include ratings and reviews to let shoppers hear from their peers what they love about your products. Play upon their fear of missing out by showing shoppers which products are creating a buzz on your website. Make customers feel part of your tribe by integrating real-time social content from Instagram, Facebook, Twitter etc. Highlight how often a product has been purchased or viewed in the last 24 hours to create a sense of urgency and harness FOMO. 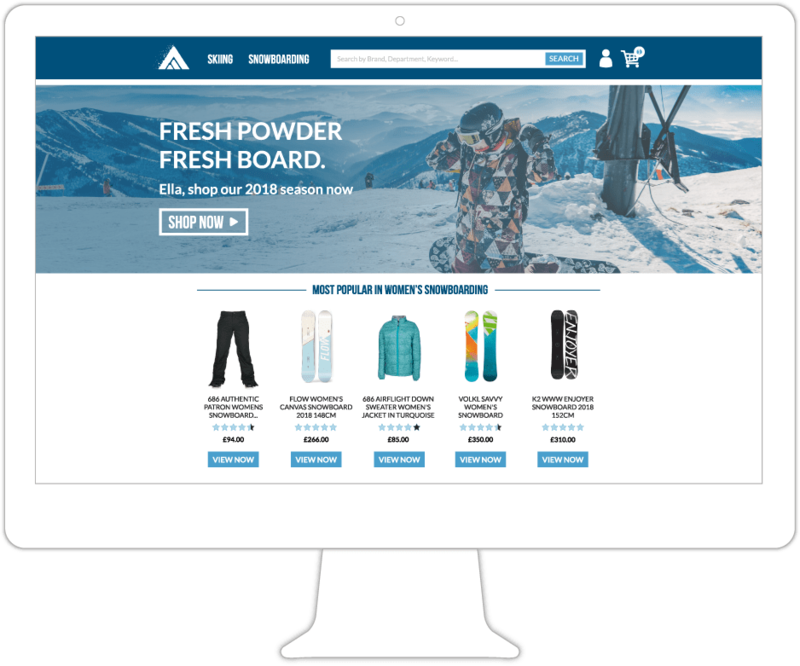 Display ratings and reviews on the homepage, product detail page and lifecycle email campaigns to reassure customers that they are choosing the right product. Show shoppers what your products look like on real people by pulling user-generated content in real-time in emails and web pages. 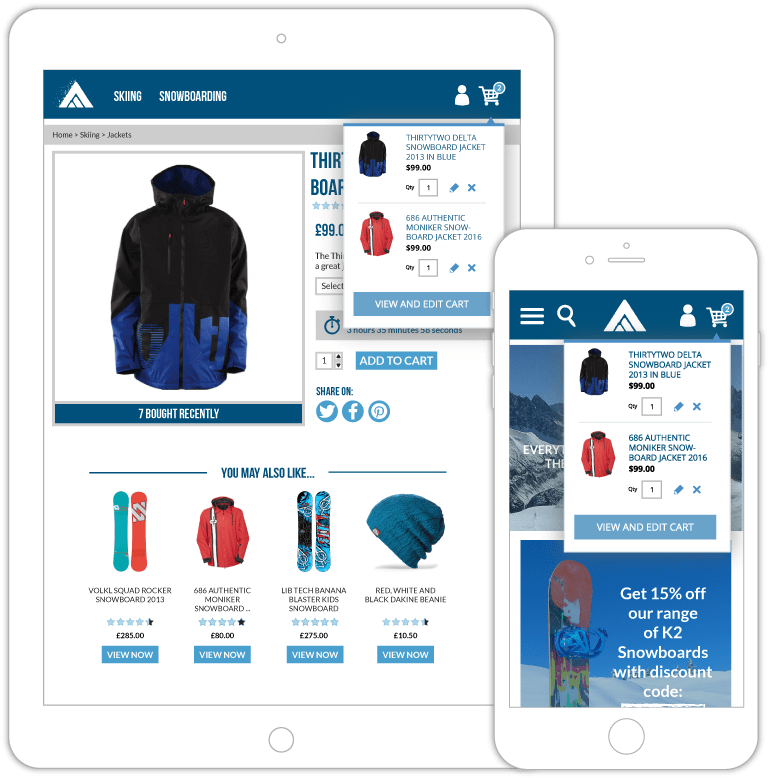 Presenting the most relevant content to guide shoppers along their journey and increase conversions has never been easier. Fresh Relevance enables you to tailor the web experience and email communications to customers and prospects based on their interests, actions or inactions in real-time. Using the platform’s intuitive drag-and-drop user interface, you can set sophisticated marketing rules for dynamic web and email content SmartBlocks based on behavioral, transactional and contextual data. Specialty content tools and data tools, which include a profiling engine and advanced segmentation capabilities, allow you to tailor your marketing to the individual shopper. Target content to audience segments across multiple countries and multiple sites as well as slice and dice your audience in various ways without the need for scripting or technical support. 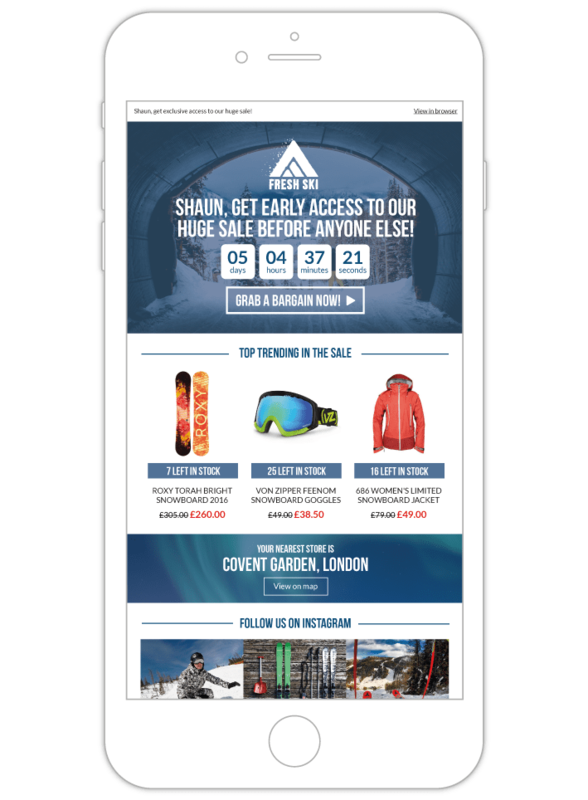 Design web and email campaigns based on the stage in the purchase funnel or customer lifecycle, preferences, location, weather forecast and time of day. Engage customers with personalized banners, product recommendations, coupons, data capture pop-ups and personalized variable real-time pricing. Increase conversions with countdown timers, social proof widgets, product ratings and live pricing. Target your customers based on their interactions and transactions with specific products and content. Advanced customer tagging allows you to build a live picture of each customer’s favorite brands, styles and colors and to use these insights to help them discover similar products they might like. Combine browse behavior with dynamic price and stock changes to promote products to those shoppers who are most likely to buy. Send price drop emails to inform shoppers of discounts of their favorite items. And let customers know if a sold-out product they looked at has come back in stock. 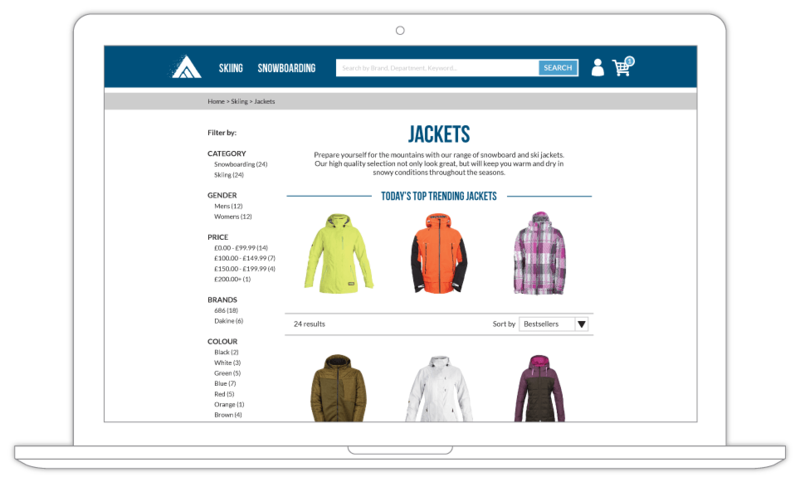 Using our drag-and-drop Segment Builder, you can quickly build precision segments for shoppers based on what they browse and purchase. Export those segments to your marketing database, CRM and ESP and use them to re-target customers on social channels and Google AdWords. Create granular segments based on behavioral and transactional data. Send price drop and back-in-stock emails for products the shoppers showed an interest in. Synchronize segments with your marketing tools to target shoppers with individualized messages and offers through email, web, mobile and social channels. Effective personalization isn’t a case of set and forget. It requires ongoing testing and fine-tuning. Fresh Relevance’s real-time, revenue-based reports and wide-ranging testing capabilities show you how each tactic is performing so it's easy to optimize campaigns. Use hard data to compare results and instantly adjust the most effective strategy for each segment. Test new marketing ideas on a subset of shoppers instead of everyone. Take the guesswork out of your website and email optimization by comparing the effectiveness of two or more types of content or designs with split testing, multivariate testing and control groups. Customize split rules to test content with just a few clicks. Track and report on tests and instantly adjust tactics. Optimize marketing programs on a continuous basis through multivariate testing.